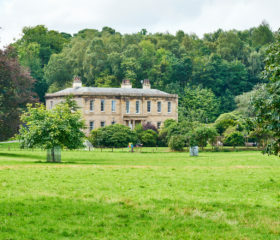 Newcross Hall Estate is a classic Lakeland country house, with colossal bedrooms, drawing room, library and snooker room. Dine in style in the breakfasting kitchen or thunderous dining room. 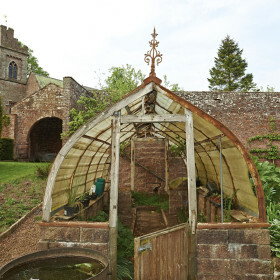 Explore the huge garden and grounds. Relax by the fire. Glide back in time to an age of gracious entertainment. 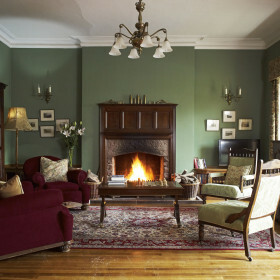 As the children race around baronial Newcross Hall Estate to squabble over the colossal bedrooms, you’ll meander from the drawing room to the huge kitchen and breakfast room, back to the gentlemen’s library where the log fire crackles and up to the snooker room. As you do so you’ll relax and feel as if you were born here. 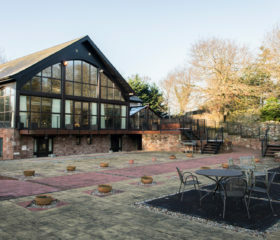 The estate includes Grade II-listed mansion Newcross Hall and the luxurious Newcross Cottage (accommodating up to six guests). 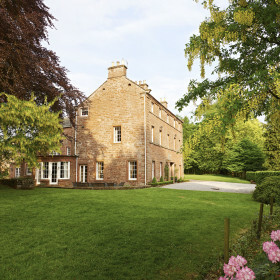 There is also the option to include the wonderful neighbouring Kirkbride Hall in your booking (accommodating up to eight guests). We can recommend excellent local caterers and helpers to waive the washing-up. Choose your own guests. 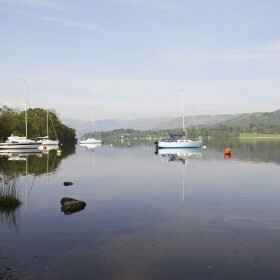 Get on to your family and friends, get down here to The Lakes and get living. The luxury is laid on as thick as the ancient walls here. 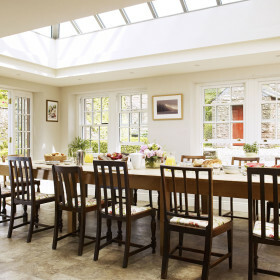 Dine in style in the breakfasting kitchen or thunderous dining room. Fire up the barbie and dine al fresco. Relax by the fire. Marvel at the second floor snooker room. Glide back in time to an age of gracious entertainment. 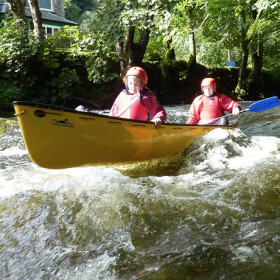 Kids will love wetting their wellies in the shallow tributary of the River Eden, while grown-ups set the steaks sizzling on the Weber BBQs. 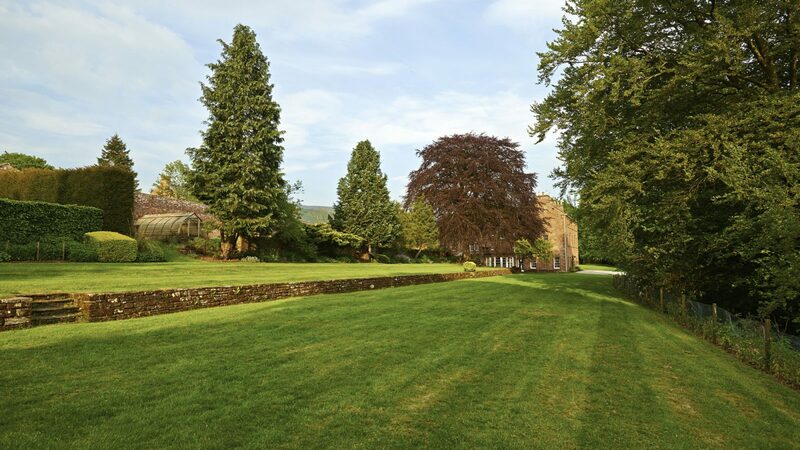 There’s a spacious old archery lawn for the adventures and games, ancient walled gardens with pathways to meander, and woodland full of flora and fauna as well as tree swings and adventures for the kids. The drawing room with oriental rug and open fire conjures up visions of the families gathering for music recitals after dinner. But you’ll probably just enjoy breaking out a good book in front of its crackling flames. 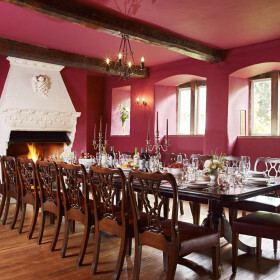 The regal feel continues with the gentlemen’s library, again with open fire, and the spectacular oak-floored dining room with open fire salvaged from a local castle. 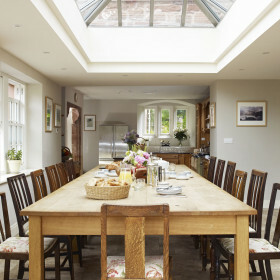 The living room’s the place to chill among family and friends after a hard day on the fells, and the large breakfasting kitchen with Aga is perfect for informal meals. The sandstone terrace, accessed by French doors from the family living room, comes with built-in barbeque for sunny al-fresco dining. The biggest surprise is upstairs on the second floor. A games room complete with full size snooker table. You can imagine how it got there as you pot the black. Lovingly restored, yet bulging with many original features, the manor house and its cottages come with oak beams, mullioned windows, flagged stone floors, open fires and welcoming places to relax. 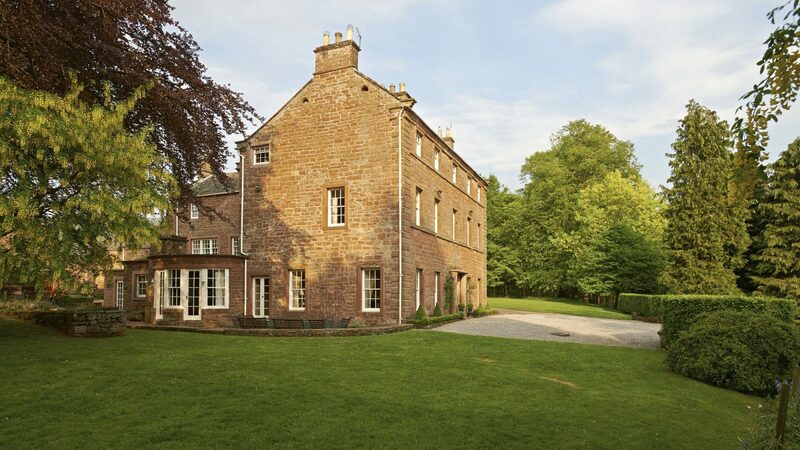 In all three properties, glorious antiques sit alongside modern amenities such as underfloor heating and wood chip fired heating – with wood chip sourced from the surrounding woodlands. The kitchen here at Newcross Hall Estate is so full-on that you’ll probably want a dabble yourself. 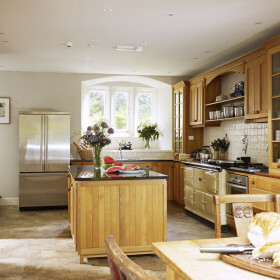 There’s an oil-fired, four-oven Aga, gas hob and additional oven, plus a microwave. Two American fridge/freezers sit side-by-side and conveniences include a dishwasher, washing machine and tumble dryer. But hey, you’re on holiday, so we’ll forgive you if you want to be catered for. 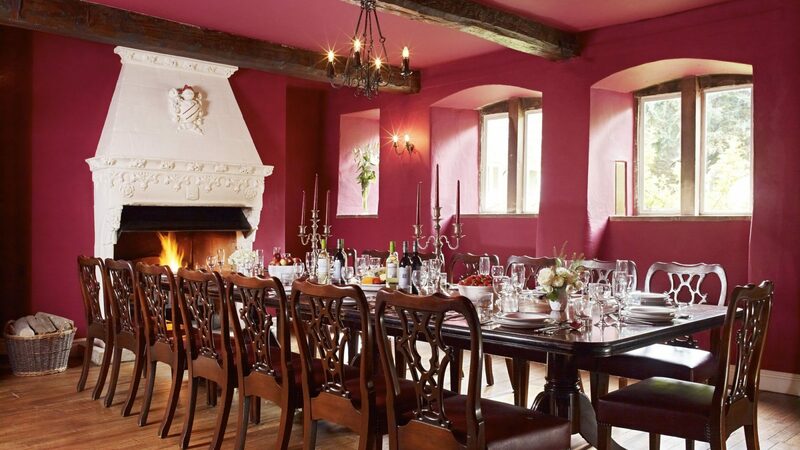 We recommend great caterers who can offer hearty fare, using fresh local ingredients, prepared and served to you in the grand dining room at Newcross Hall. Choose from various catering options including Lynn Hilditch Catering, Ribble Valley Hog Roasts or Karen Rhodes Weddings & Events. Who does the washing up? Them, of course. But you might prefer a drop-off service. Just whistle and Lynn Hilditch can provide your wholesome meals with none of the hassle. You can get groceries delivered from Sainsbury’s or Tesco, or have more exotic chef-prepared specialty local meats and veg brought right to your door. How about Staffield Hall meat pies followed by Rowley’s Raspberries that you picked yourself from our field? Get everyone together at Newcross Hall around the huge table in the Orangery with the four-oven Aga – or ignore it completely, put your feet up and let someone else take the strain. Just whistle and the caterers will prepare you a meal or drop off something special. They can even wave their wands over the washing-up. 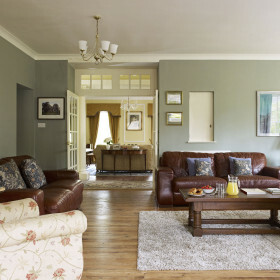 The Newcross Hall Estate can sleep up to 32 guests in total across 16 bedrooms. 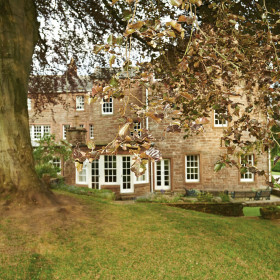 The Hall itself accommodates 20 guests in nine bedrooms, the adjoining Newcross Cottage accommodates six guests in three bedrooms, and Kirkbride Hall, which is linked via a gate in the Victorian walled gardens, accommodates eight guests in four bedrooms. At Newcross Hall the master double comes with huge bed and dressing area. In the en-suite, you’ll find a pleasant choice of built-in shower and cast-iron roll-top bath. Follow a short passageway to the Jacobean Room, with five-foot double bed convertible to singles as you wish. Wash away your cares in the large rainfall shower. If you fancy a little meditation, follow the external sandstone staircase to the herb garden in the cobbled courtyard. The remaining bedrooms are pretty grand too. 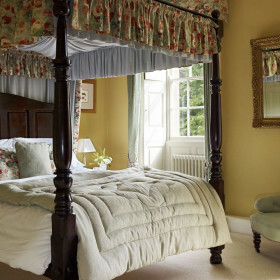 The Chinese double bedroom comes with en-suite shower room; the en-suite Regency double has an antique canopied four-poster with choice of shower or bath. 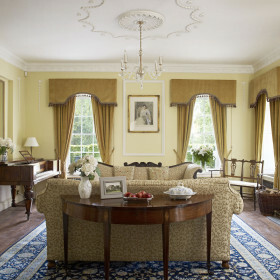 Ideal for young families, the Regency gives access to the twin Georgian room, which comes with 3′ twin beds. 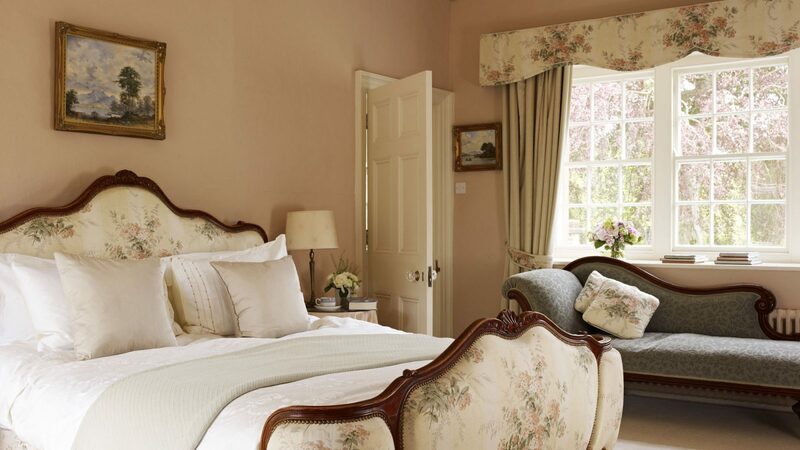 You’ll feel like Marie Antoinette in the French Empire double bedroom with 5′ bed. The cake comes care of the invigorating power shower over the bath, also accessible from the landing. 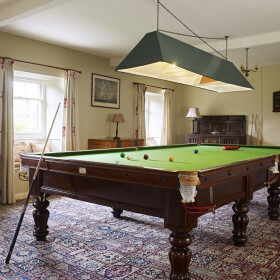 Up on the second floor, the snooker room sits handy for impromptu nocturnal billiards. 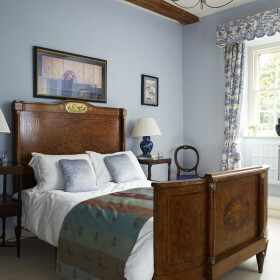 The Victorian double bedroom with 5′ antique four-poster has acres of room and en-suite facilities. The Edwardian double comes with 4’6″ bed and en-suite shower room. In the Nursery bedroom, you’ve got options: the two 3′ twin zip-and-link beds can convert to a 6′ double on request. However you play it, you’ll enjoy soaking in the en-suite’s rolltop bath or singing in the shower. Yet another shower room with WC sits by the billiards room. 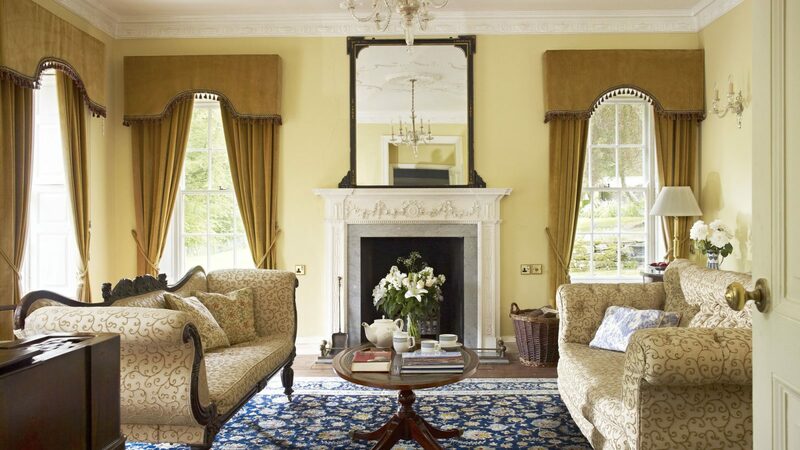 The Newcross Hall Estate can sleep up to 32 guests in total across 16 bedrooms. 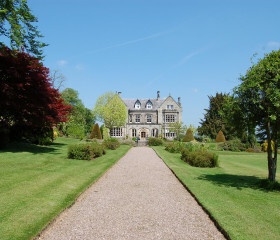 The Hall itself accommodates 20 guests in nine bedrooms, Newcross Cottage accommodates six guests in three bedrooms, and Kirkbride Hall, if booked additionally, accommodates eight guests in four bedrooms. 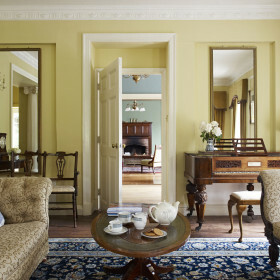 At Newcross Hall, the Master Bedroom comes with huge bed and dressing area. In the en-suite, you’ll find a pleasant choice of built-in shower and cast-iron roll top bath. 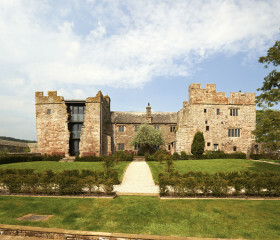 Follow a short passageway to the Jacobean Room, with a five-foot double bed convertible to singles as you wish. Wash away your cares in the large rainfall shower. If you fancy a little meditation, follow the external sandstone staircase to the herb garden in the cobbled courtyard. Up on the second floor, the Billiards Room sits handy for impromptu nocturnal billiards. 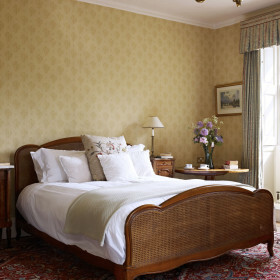 The Victorian double bedroom with 5′ antique four-poster has acres of room and en-suite facilities. The Edwardian double comes with 4’6″ bed and en-suite shower room. In the Nursery bedroom, you’ve got options: the two 3′ twin zip-and-link beds can convert to a 6′ double on request. However you play it, you’ll enjoy soaking in the en-suite’s roll-top bath or singing in the shower. Yet another shower room with WC sits by the Billiards Room. Newcross Cottage’s first floor Master Bedroom has a five-foot antique oak bed and an en-suite bathroom with a separate shower and a cast iron bath. The Threlkeld Bedroom on the first floor can either be arranged as a 6 foot bed or as two single beds depending on guest preference. It has an en-suite bathroom with a cast iron bath. The Dacre Bedroom on the ground floor may either be arranged as a 5′ king size bed or as two single beds depending on guest preference. It has an en-suite shower room and WC which also opens to the entrance hall to provide a ground floor cloak room facility. Follow the hand-built staircase in Kirkbride Hall to the Master Bedroom with its five-foot antique four-poster, solid-oak floor, chunky furniture and cool, contemporary ambience. The Master Bedroom en-suite comes with a natural-limestone walk-in shower. 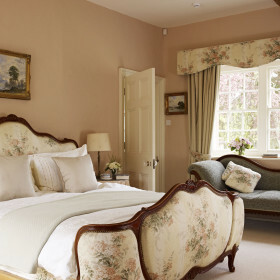 The Manor Room offers a king size bed that can be arranged as two singles on request and a luxurious en-suite shower. The Threlkeld Room comes with king-size bed, while the Pattenson Room is another king-size that can also double as two singles, if required. These two bedrooms share the family bathroom, complete with cast-iron bath and separate freestanding shower. Fluffy towels are forever warm, thanks to heated chrome towel rails. 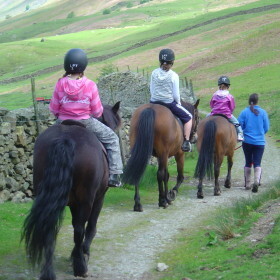 Walk the Eden Valley or pop up to The Shepherd’s Inn (take your dog). 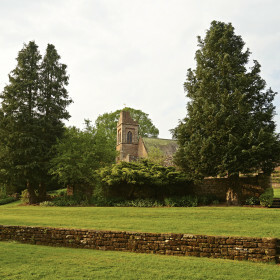 Picnic by the River Eden or explore the mystical and magical Long Meg stone circles. 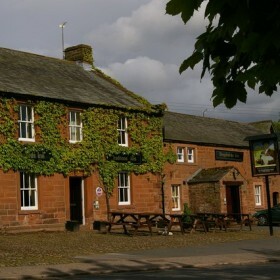 Potter La Brocante Emporium for antiques or eat out at The Fetherstone Arms, where steaks this good are rare indeed. Or medium rare.